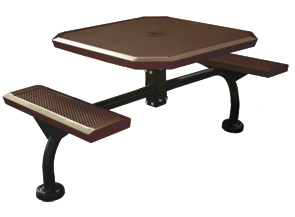 Thermoplastic coated punched steel forms the top and seats on this uniquely designed octagonal picnic table. 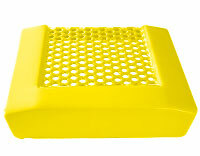 The tops and seats have a comfort slope for added comfort and convenience. 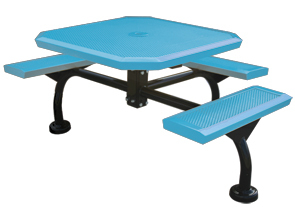 The octagonal picnic table are finished with a lightly textured Polyethylene coating in any of the color options shown below. Optional cast aluminum grout covers are also available to order. 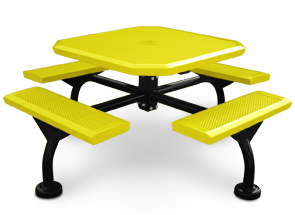 # 11 Gauge Punched Perforated Steel Top & Seats.